COLUMN DESIGN: Architectural Wood – Partially fluted. Greek Doric taper, with Greek Doric flutes that start 2′-08-7/8″ from the bottom of the column shaft. Greek Doric capital and no base molding / plinth. PROJECT COMMENTS: Chadsworth Columns specializes in custom columns. We can make wood columns to your exact overall specifications. 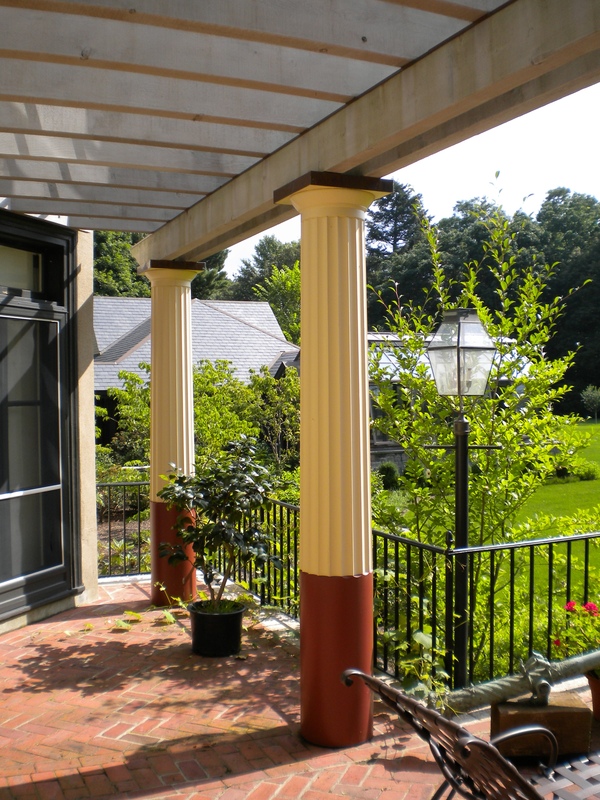 This projects features (4) of Chadsworth’s custom Greek Doric columns for a renovation project in the Boston, Massachusetts area.